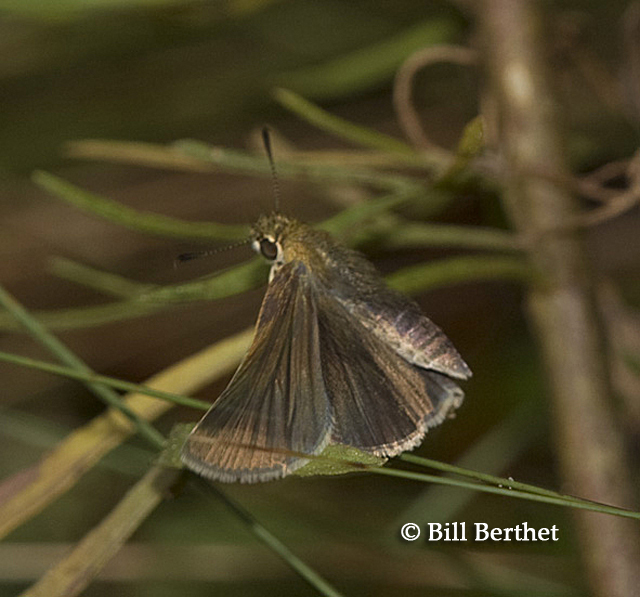 Identification: Upperside is dark brown; forewing may have 2 very faint light spots. 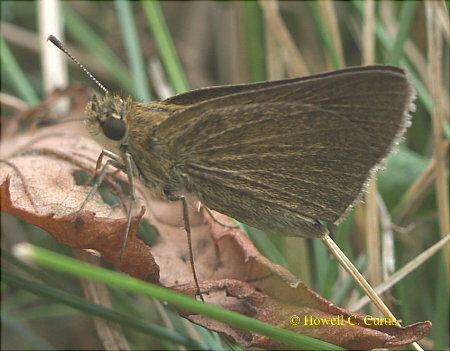 Underside of hindwing is yellow-brown with lighter veins. Wing Span: 1 - 1 1/8 inches (2.5 - 2.9 cm). Life History: Males perch near the ground on grass stems; most mating occurs in the late afternoon. Flight: Two broods from May-September, earlier in the south. Caterpillar Hosts: Little bluestem (Andropogon scoparius). 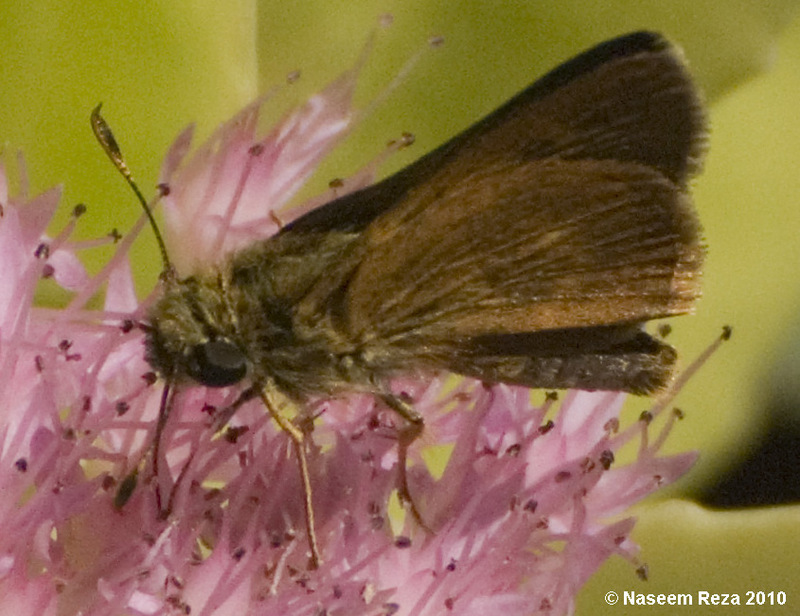 Adult Food: Nectar from low-growing flowers including selfheal, red clover, tick trefoil, purple vetch, New Jersey tea, and peppermint. 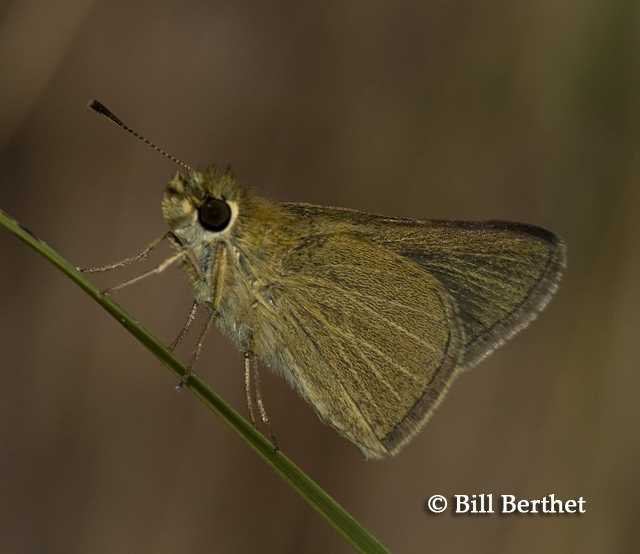 Habitat: Grassy, open areas such as sand barrens, meadows, hillsides, fields. Range: Eastern United States from Missouri east to southern New York; south to eastern Texas, the Gulf states, and southern Florida. Strays north to northern Minnesota, southern Michigan, and western Kansas.